Thank you for considering The Bishop’s Stortford High School for your post-18 studies. The transition from GCSE to A Level study is a challenging one, and we want to provide you with as much support as we can. The study skills required of a successful A Level student are varied, and involve you taking an active role in your progression and development. Throughout your two years of A Level study you will be required; to read texts that include complex academic vocabulary, research new material from unfamiliar sources, condense information in a legible format, evaluate and analyse the work of scholars and develop your essay writing and problem solving skills amongst other exciting challenges. We firmly believe that getting off to a good start will aid you on your journey to success allowing you to develop into an independent and responsible learner. You need to locate the pages in this booklet that refer to the subjects you are studying, you will complete the task for all of the subjects you have chosen. You must bring a hardcopy of this work to each of your first lessons. If you are an A Level student you will therefore complete three units and a BTEC student two units. If you are studying four A Levels, then you will complete four units. 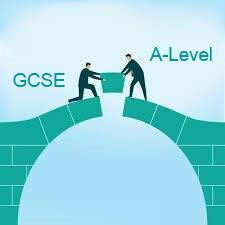 The purpose of this work is to help bridge the gap between GCSE and A Level studies, approach it with confidence and an open mind. Any challenges you face will be discussed in your first few lessons back. It is an expectation for all students joining The Bishop’s Stortford High School Sixth Form that this work is completed, and you will be held accountable for this. You need to bring all completed units to your first day.